Unpack It. Plug It In. Start Marking. It’s That Simple! No more complicated laser marking systems and expensive service calls. 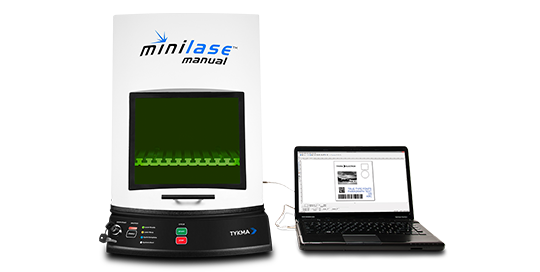 Maintenance-free Minilase™ Manual arrives fully assembled in one box. The MLM fiber laser system packs a powerful punch and gives users maximum application flexibility. The manual front door is lightweight and ergonomic thanks to a spring loaded retraction system. A powered part-loading table with our focus finder system makes focal adjustment easy. Machine management is simple with the front mounted operator control panel.